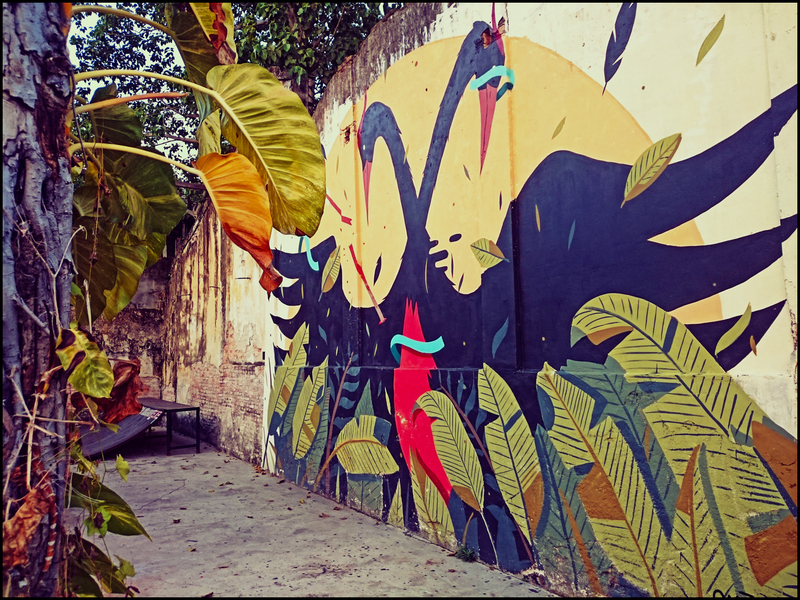 This large street art mural depicting a painting of different types of colorful birds can be found at the wall of a house in Macallum Street, George Town. 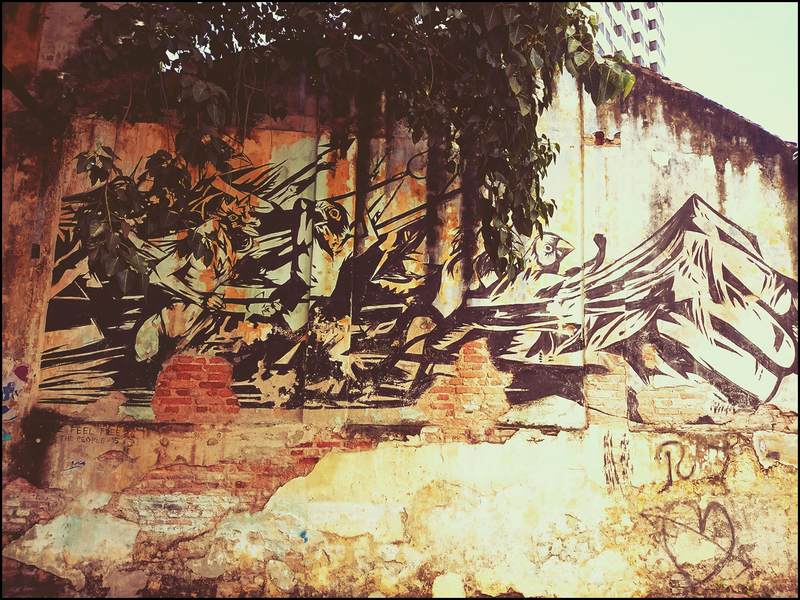 An abstract street art found painted on an old wall within the compound of Hin Bus Depot in George Town. 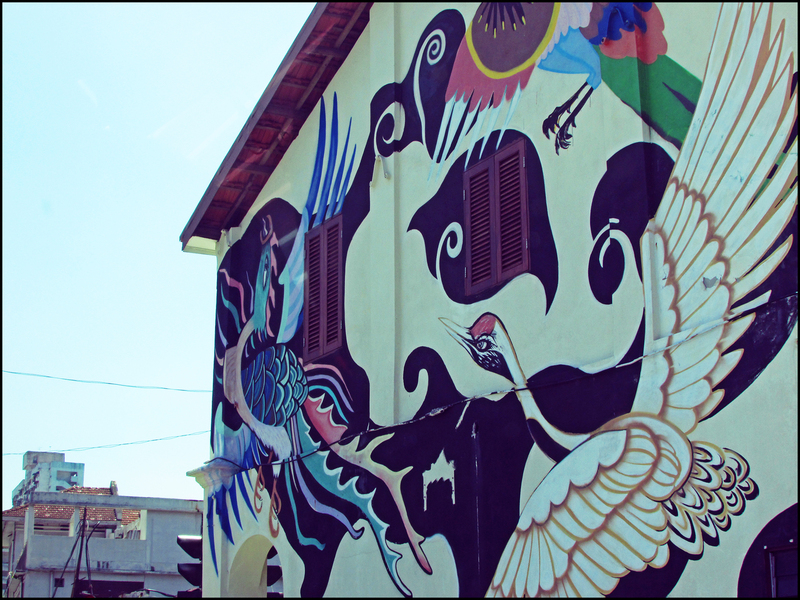 This large mural features a giant fist along with several avian humanoid figures. 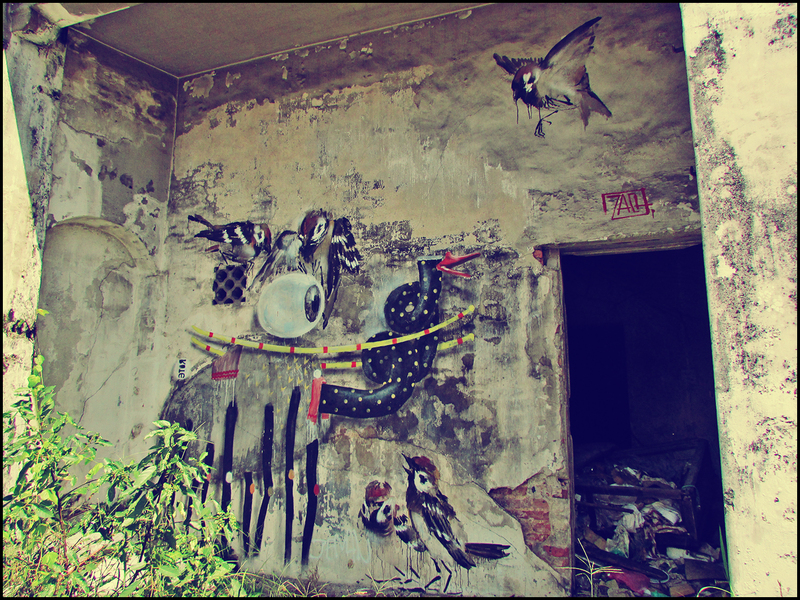 This mural located at a ruined abandoned house in central George Town is a collaboration work between Ernest Zacharavic and an artist named Etoja for the Urban Xchange: Crossing Over festival held in Penang last year. 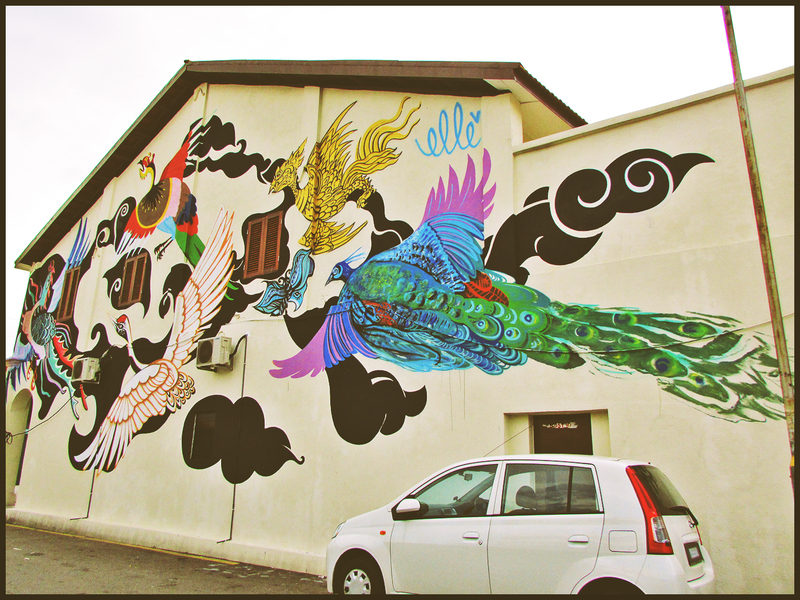 This gigantic painting of various birds in flight, is also one of the recent street art murals created for the Urban Xchange International Street Art festival held in November. 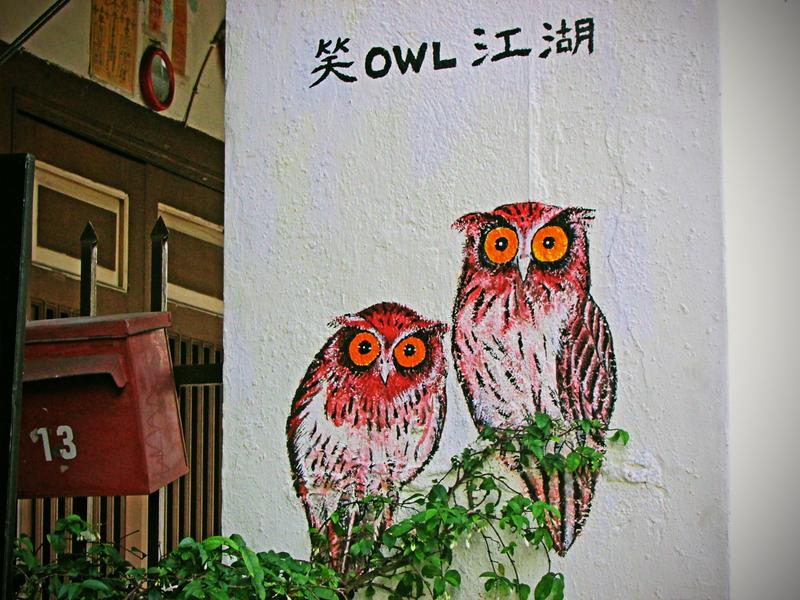 This mural can be found at a corner townhouse along Macallum Street in George Town. 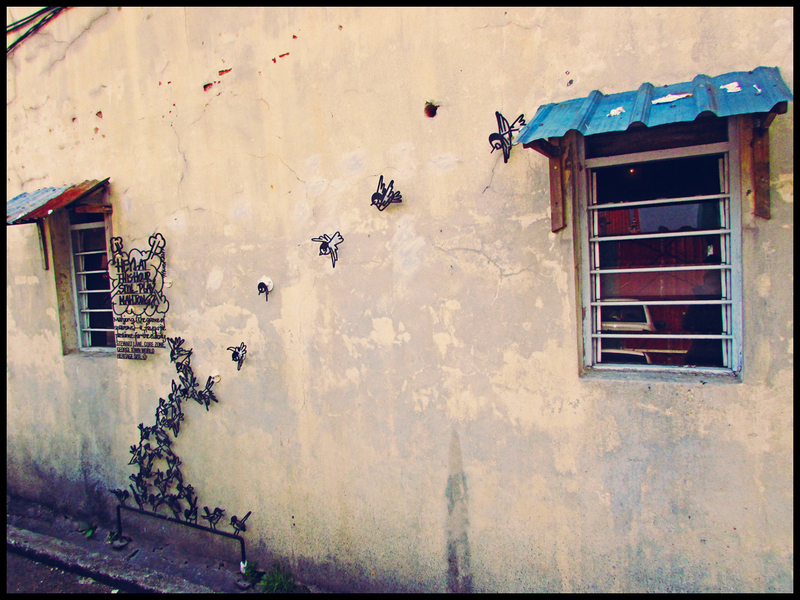 A steel rod sculpture depicting the favorite pastime of most older generation of the local Chinese communities here in Penang – the game of Mahjong. Mahjong literally means sparrow in Chinese, and is usually played with four persons. Legend has it that it was Confucious who invented the game, though this was pretty much debatable. A set of 144 Mah Jong tiles consists of 36 tiles in the Bamboo suit, 36 in the Circle suit, 36 in the Character suit, 16 Wind tiles, 12 Dragon tiles and 8 bonus tiles (4 Flowers and 4 Seasons). The objective of the game is to collect sets of tiles according to the number and type shown on the face of each tile. 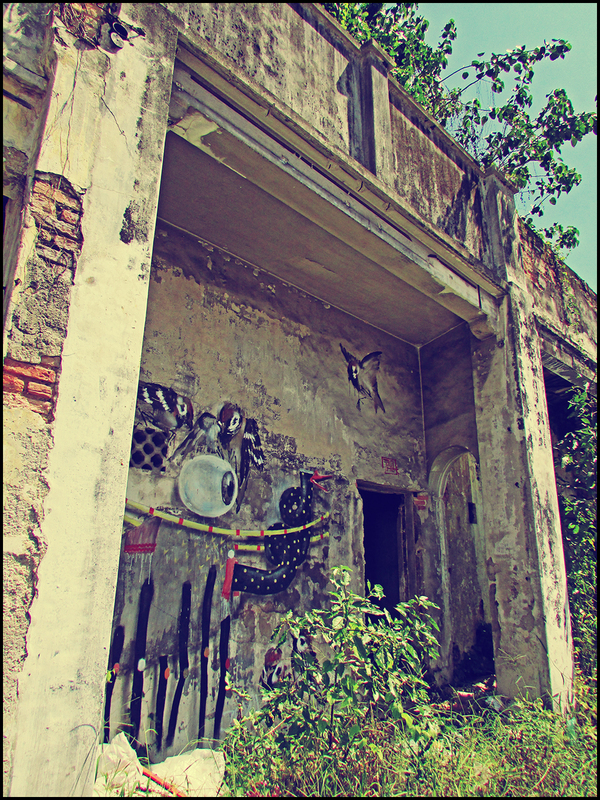 This sculpture can be found towards the end of Stewart Lane, behind the Goddess of Mercy temple. 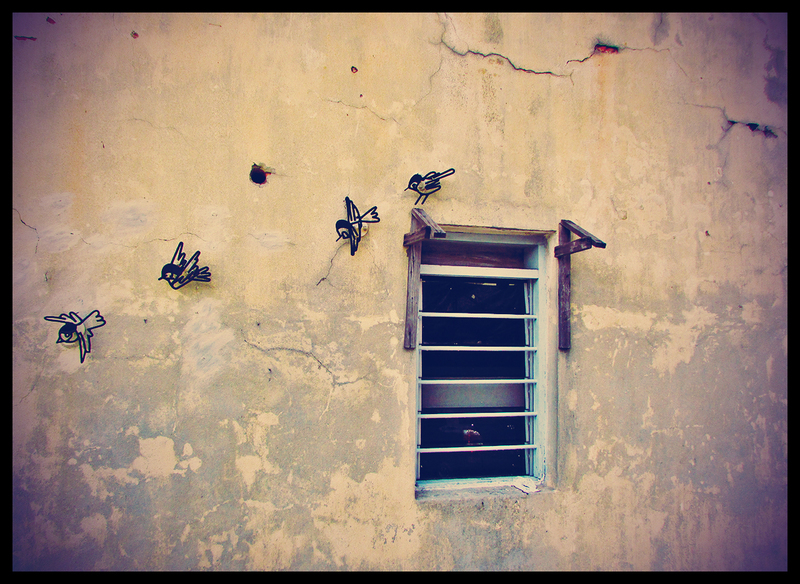 Steel wall caricature featuring little sparrows flying from a window at a wall of an old building at Stewart Lane in George Town. 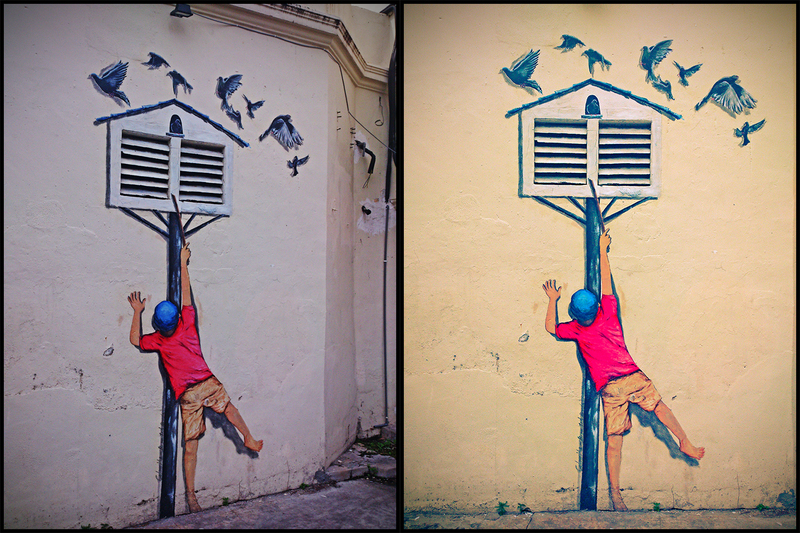 A pigeon house mural (presumably inspired by Zacharevic’s art work) painted at the wall of an old building located along Nagore Road, George Town.